Hello from the land down under! I recently completed a multi-sector that took me from Dubai, United Arab Emirates to Bangkok, Thailand and on to Sydney, Australia. The entire trip took about six days, but it was a lot of fun! 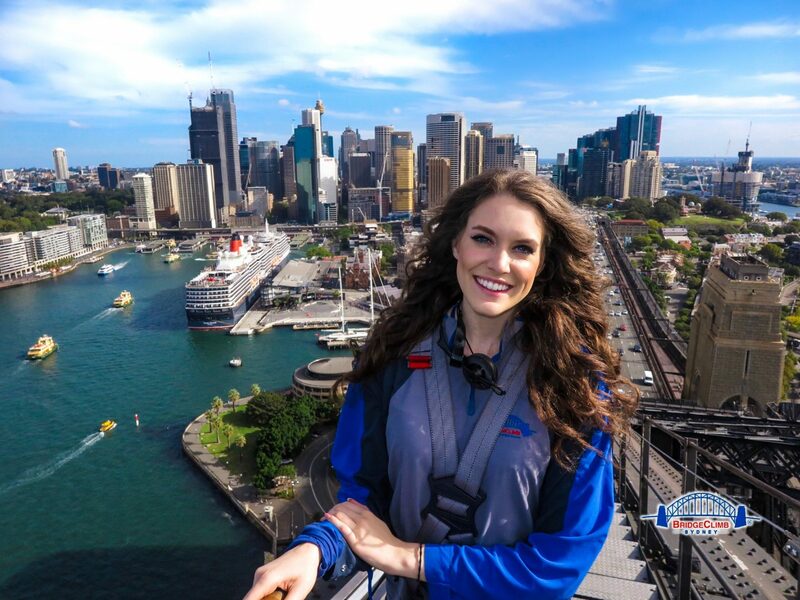 We had an amazing layover at each of these destinations, but the most memorable part of this journey was my BridgeClimb experience in the Harbour City. For those who are unfamiliar with BridgeClimb, it is an activity that equips you with the materials necessary to hike to the summit of the Sydney Harbour Bridge. There are four different climbs to choose from; BridgeClimb, BridgeClimb Express, BridgeClimb Mandarin and the BridgeClimb Sampler. I won’t go into the details of each, but I chose to participate in the “BridgeClimb” option that took place during the day. The whole experience was about 3 hours long (including the check-in process as well as the briefing and safety and security checks). BridgeClimb was started in 1998 and has since been visited by many celebrities including: Will Smith, Ben Stiller and Heidi Klum to name a few! I decided to add it to my bucket list when I first came to Sydney, Australia 3 years ago, after seeing people standing on top of the Harbour Bridge when I was at the Sydney Opera House. I didn’t know it was something you could do until it came time for me to leave, so I promised myself I would take it on if I ever returned. When I saw SYD on my roster this month, I made a reservation as soon as I landed there. Hurray for new adventures! My guide on the tour, Alex, was really cool and so were the other climbers. He shared a lot of information with us about the bridges history and Australia in general. For example, did you know the highest point bridgeclimbers walk to on the tour is 134 metres above the sea level!? Crazy! Although it is prohibited for guests to take their own photos and videos during the climb (for safety and security reasons), packages are available for purchase and Alex managed to snap some cool shots on my behalf. Just look at that city skyline in these images! Over 4 million people have taken on BridgeClimb- would you? Let me know in the comments below!